• Nature's Way - Kelp 660 mg.
• Monatomic Gold Formula Liquid - Phinheas Manna 8oz Ormus. Over a few years, my need for this subsided. Now I take a drop every so often. Sleep is extremely important. Without the supplement below I would never get tired. Also, balancing Magnesium and Calcium is very important. • Somnapure - Natural Sleep Aid - This has most of the popular sleep ingredients in it. 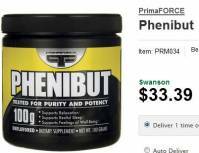 This is Phenibut (B-phenyl-y-Aminobutyric acid). This is related to GABA. It is taken to relax and sleep. It is a powder. Amazon does not carry it. Do not take this without a lot of research on your part to figure what it will do to your body. I figured it out by taking many things that did not work because of side efforts by other ingredients in those products and finally figured out it was this ingredient that was helping me sleep. the Warning on bottle are to be followed to the "T". I take one scoop per evening and then skip a couple days. I actually was taking it every day, but smaller and smaller doses until I quit. This took years. This link was the easiest way to list the Food Supplements that I take. And this link has all the information. This works for me. I don't know what will work for you. I do not take any Western Medicine Pharmaceuticals (Drugs). I consider them to be poison, except for aspirin. My doctor just stares at me. All I want to know from her is what she thinks is wrong. And that is very suspect too! Why the Extreme Food Supplements? I have heavy metal poisoning; because of Adrenal Burnout Syndrome. Supplements for this can be found at Adrenal Fatigue.org/. Western Medicine did not figure this out for me! Also other poisonous substances are in my body because of chemtrails and vaccinations. I have a whole house water filter. It removes all standard stuff, plus fluoride too. I bring my own water bottle with me where ever I go. I don't go to the dentist because I don't brush my teeth with fluoride tooth paste. I'm very healthy, except for a dizzy spell every so often caused by a neck injury which is exasperated by headaches caused by poor vision. My nails are very shiny. My eye brows are growing full width again. This means I'm making inroads on the Heavy Metal poisoning.